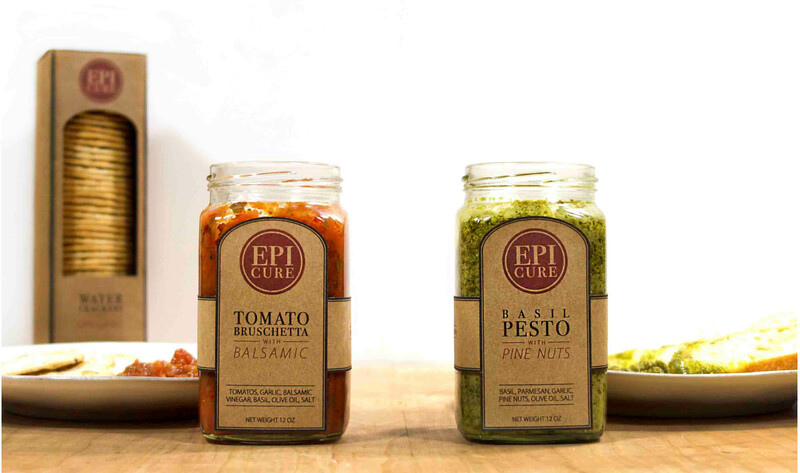 Epicure is an Italian style collection of gourmet foods from local vendors. An original identity was created using geometric shapes and clean typography. 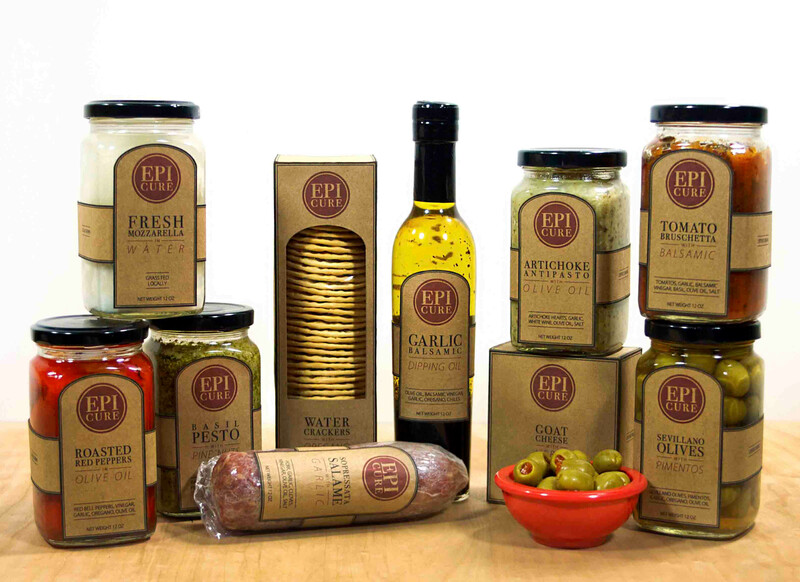 Classic and modern typefaces were paired and incorporated into the overall design to suggest a traditional yet contemporary feel. 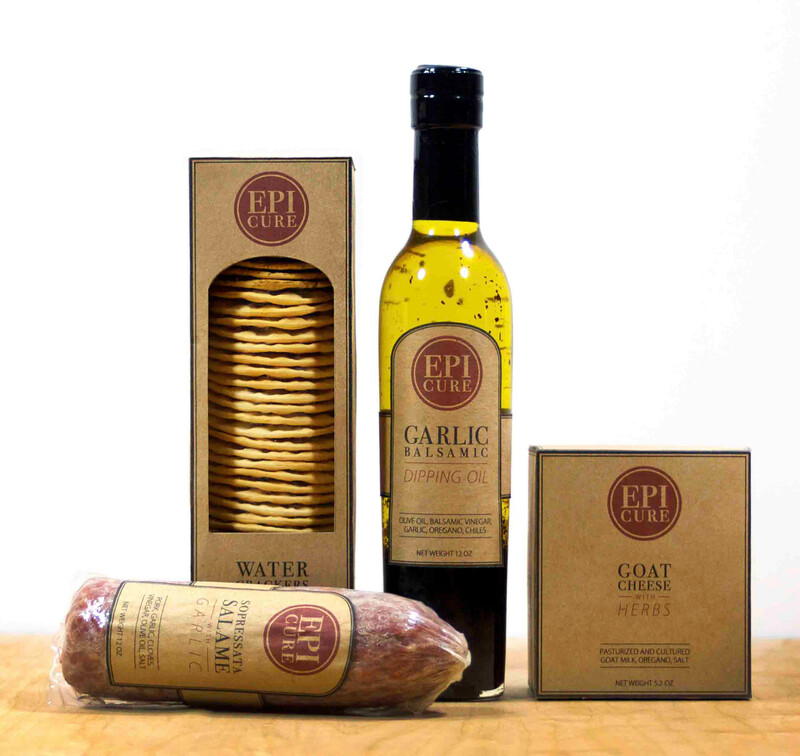 Custom die-cut labels and packages were printed on recycled paper to convey a rustic elegance.